Daca - Raskršće - Lečenje bolesti zavisnosti. Lečenje narkomanije. Answer: I dropped down on my knees and said my first prayer! 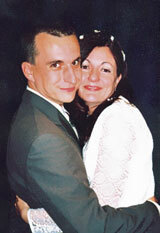 My name is Dragana and I spent almost 20 years as a drug addict. I was a terrible creature: selfish and rebellious. I was ready to do anything for drugs. I traveled to Istanbul where I bought drugs that I later sold in Europe so that I could have enough to satisfy my needs for a fix. I used to break into houses and boutiques to get money for a fix. One day I was arrested and I found myself in prison. Nothing changed in my life after being in jail. I continued to sell heroin and to use drugs. Soon after this my close friend died in the apartment where I lived. He overdosed on drugs I had sold him. I was very afraid. Together with my son I got down on my knees and said my first prayer. I cried out for God to bring back the lifeless body among the living. God answered my prayer and my friend came back to life. After all these events I asked for help from Raskrsce Teen Challenge. After a short time I entered their program and started going through some drastic changes. As a result of this program I have totally recovered from my drug addiction and God has healed and restored my relationship with my son. I know one thing: if God could help me to go through that agony, he can help anyone. Today, a few years after finishing this program, I am a very satisfied. I have a husband with whom I have one more son and a very good and happy life. Today I am aware of the fact that I could have never become free from my drug addiction without the help of Raskrsce Teen Challenge and the people who were there for me when I needed them most.